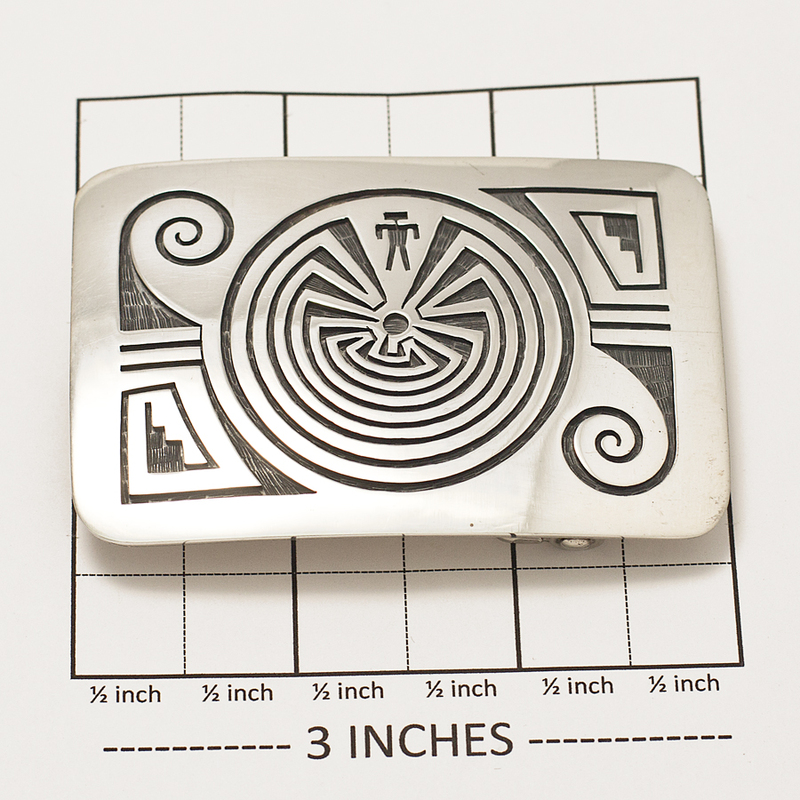 Long regarded as the most difficult pattern to cut in sterling overlay, Augustine Mowa, Jr. of the Sun clan shows his skill with this classic Man in the Maze design. Surrounded with symbols of water and prayer altars, the Maze represents man’s choices and decisions in life on his way toward the center. Hallmarked with Augustine’s “Sun, Moon, Star” symbols and Sterling. As shown will fit a 1 1/2″ belt. 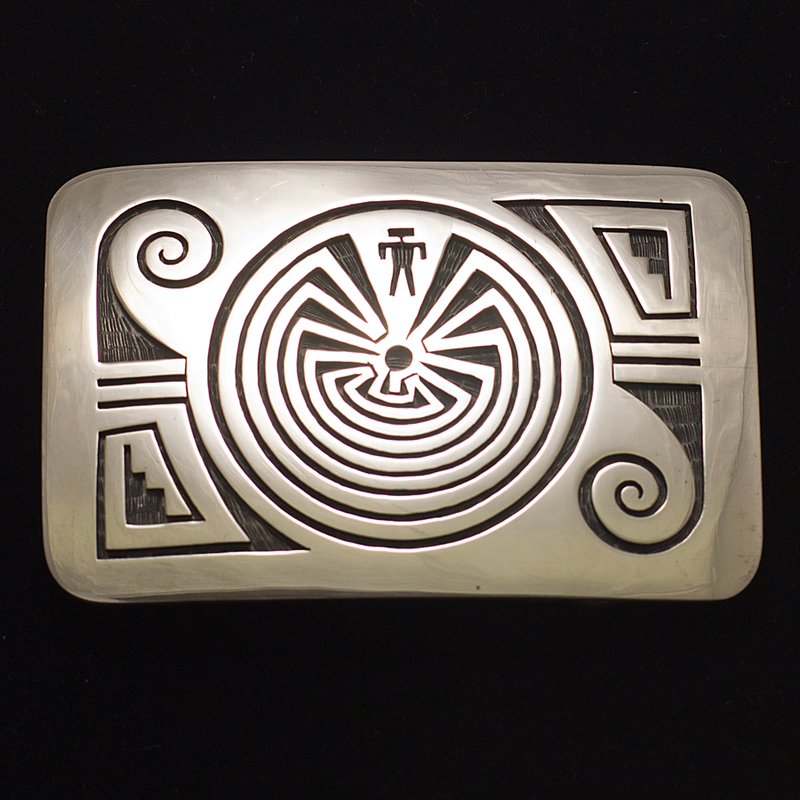 Augustine Mowa Man in the Maze Buckle in shining Sterling Silver by this skilled Hopi artist of the Sun Clan.